What a wonderful day. 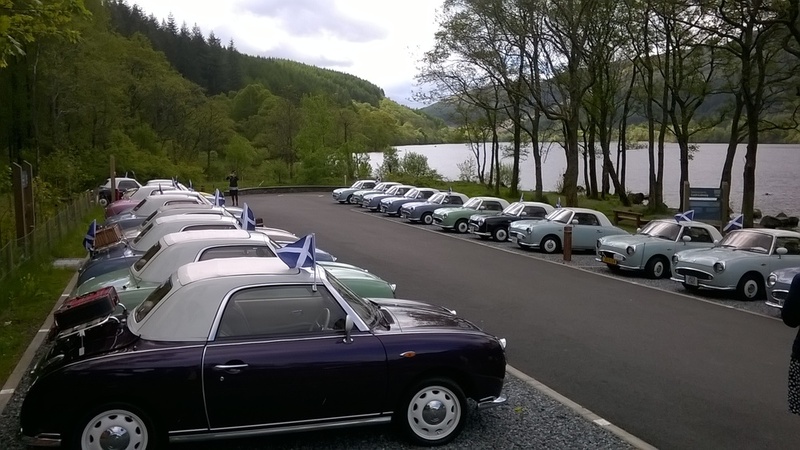 A visit by the Figaro Owners club on their trip around Scotland. We loved the cars and the costumes too! Thanks for planning ahead and contacting us in advance, we really appreciated your thank you card and are glad you enjoyed it so much. We look forward to your next visit. 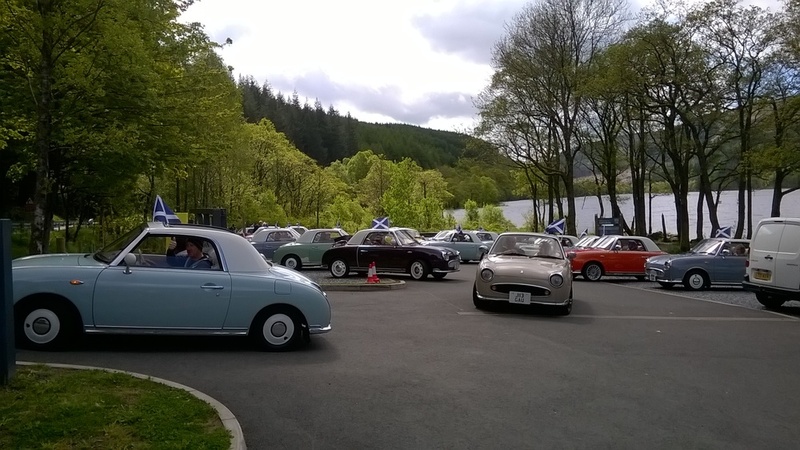 Anyone else planning a rally or tour do get in touch - we can provide a unique stop for coffee, lunch or tea with home baking and an amazing view. Posted on July 3, 2015 by The Cabin. The campsite is fully open this year from 1st March, come and enjoy the fantastic views and don't forget to have a freshly ground cup of coffee or try one of our Drumardoch Highland Beef Burgers or Trean Farm Lamb Burger.